WDAF increased power to 5,000 watts daytime in 1935, and 5,000 watts nighttime in 1940. In 1958, the Star sold WDAF to National Missouri TV. Two years later, Transcontinent Television took over. Taft Broadcasting bought WDAF in 1964. Taft changed the format to full-time middle of the road music on April 30, 1967. WDAF used ABC's American Information Radio. They became a secondary CBS affiliate in 1974. 1977-2003 - WDAF - Country "61 Country"
WDAF flipped to country in February 1977, and although they had several competitors, WDAF programmed country music as if it were Top 40. Taft Broadcasting owned the station until the late 1980s, when Great American Broadcasting bought it. Citicasters owned the station until 1997. Entercom took control in 1998. Despite having as many as three city-grade FM competitors at any one time, WDAF remained the top country station in KC. From 1992-1995, WDAF held the Royals broadcast rights. In 2002, they picked up the rights to University of Missouri football and basketball. David Lawrence and Ted Cramer were among the longtime personalities of 61 Country. 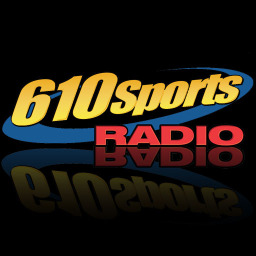 2003-current - KCSP - Sports "610 Sports"
Entercom announced it would move WDAF to 106.5 on the FM dial in 2003. Beginning August 10, 2003, The station simulcasted on both frequencies until a new sports station was ready. That day came September 10, 2003. Entercom had swiped Jason Whitlock, Bill Maas and Tim Grunhard from WHB at the time, though all three have since moved on. The Jim Rome show moved to KCSP in December. Kansas Jayhawk sports moved to KCSP in September 2006. Kansas City Royals baseball moved to KCSP starting in the 2008 season. In 2011, KCSP beat WHB in the ratings for the first time. In 2012, KCSP dropped the Jim Rome show in favor of expanding its local programming.